Germany's favourite fast food, could be under threat from the European Union. 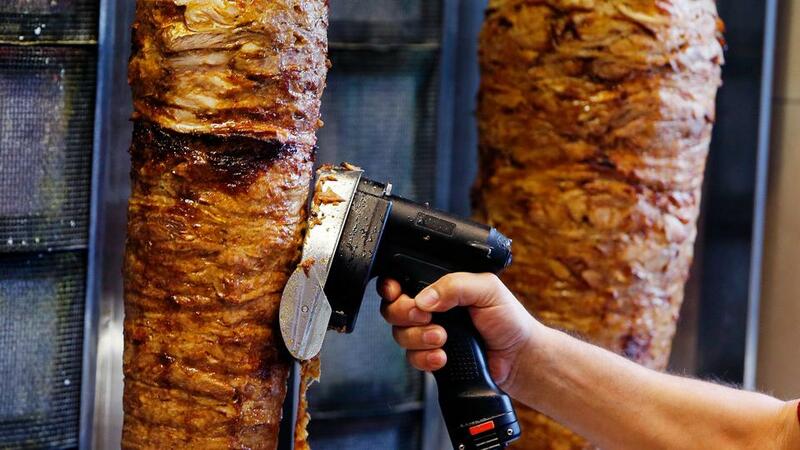 Its parliament will debate on Tuesday whether to tighten regulations on the meat commonly used to make doner kebabs. Ira Spitzer reports from Berlin. The image of doner kebab makes many people hungry for lunch or a late night snack. But the European Parliament may want to take a closer look at the phosphate additives commonly used in doner kebab meat. That news led to panic in the German media, and had people wondering if it could be the end of the hugely popular snack introduced decades ago by Turkish immigrants. Phosphates, which also occur naturally, help bind any type of meat together on a vertical spit which helps the kebab to stay moist. However,they've recently been linked to increased cardiovascular risk and lawmakers have commissioned a study to better understand the issue. There are thousands of kebab sellers in the city, and across Germany they've become a billion dollar industry. But many in the doner business feel they're being unfairly singled out. "It's also possible to make doner without adding phosphates, but our question is why are not allowed to use phosphates in doner when meat producers, cheese producers, drink makers, and so on are allowed to use them" Gursel Ulber, Association of Doner Producers in Europe told to TRT World.